C&R Racing Thermostat UNIVERSAL - Dezod Motorsports Inc - Home of the automotive performance enthusiast since 2002. 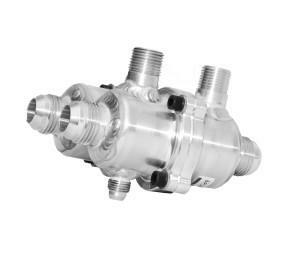 For those who want to utilize our in-line thermostat and still have ability to use a heater or cool-down circulator, this device is the all-in-one Thermo-Check Valve. When the cold water from the circulator hits the thermostat element, it opens, so if your water heater setting is above your thermostat temperature rating, the valve will become ineffective.